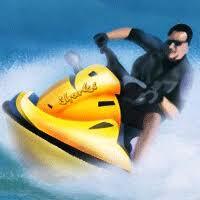 Water Riding is amusement rides that are set over water is MOST EXHILIRATING ACTIVITIES to be enjoyed in Andaman. Being a Coastal Tourist Destination it is the only place that allows Tourists to enjoy this THRILLING Experience in the Country. Water Riding is a Package of five different rides done on the Vast Ocean.